The forecast unfortunately was correct and rain is hammering on the roof all night long. Accordingly, I'm not in a hurry to leave and check the TA Facebook group to see what's going on on the trail. Quite a lot actually: The weather-bomb caused a mess up in the Nelson-Lakes, Arthurs Pass region. I count myself lucky not to have many more river crossings. Especially not on today's straightforward section towards Longwood Forest. 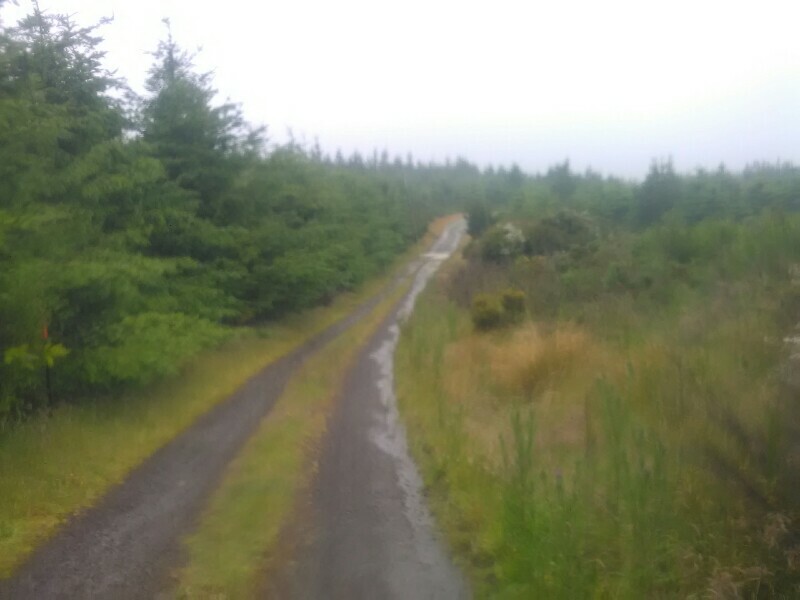 Once past an eucalyptus forest, the tracks climbs fairly steep through grassland up to Twinlaw Peak and then enters Woodlaw pine forest on a forestry road. 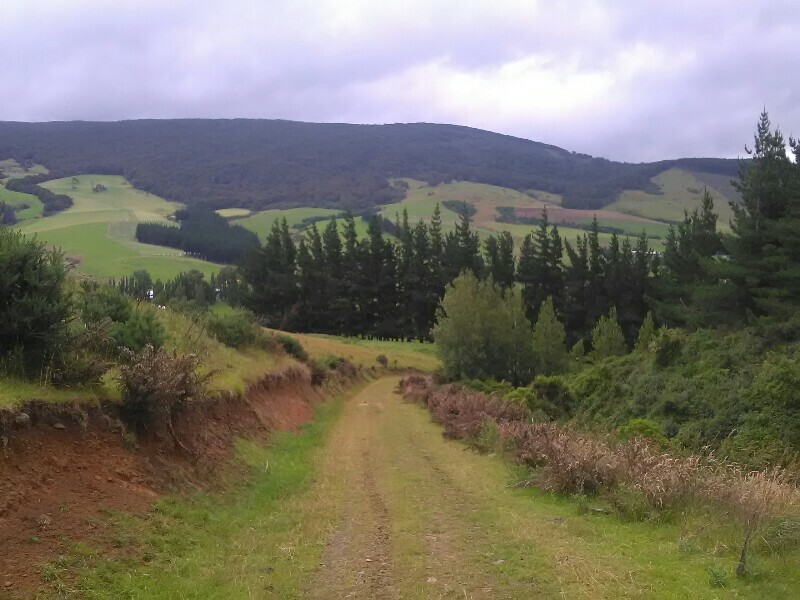 I eventually leave the road and descend through beechforest on an okay tramping track. A bit boggy in places, some fallen trees. Nothing serious. Still, I manage to hit a piece of wood with my little toe. Happens every once in awhile, this one is particularly bad though. Very painful. A quick road walk connects Woodlaw Forest with Island Bush, which is quite similar to Woodlaw. Before entering the bush, I need the permission from the landowner to proceed. A quick phone call. No big deal. Still a bit odd. After exiting Island Bush, it's another road walk. I decide to hike as close to the trailhead of the Longwood Forest as possible. It rained the whole day, especially heavy on this last road section. At one point I have enough and pitch my tent beside the road. Chances are close to zero that a car will pass by on this road. It's actually the first time to pitch my tent in heavy rain. Not really pleasant to be honest. Not very pleasant was actually the whole day. Mainly due to this crappy weather. But at least the day did serve it's purpose and I'm a few steps closer to Bluff.